The Lex Artifex Law Office has introduced the IPR Helpdesk to assist businesses in protecting their Intellectual Property (IP) and enforcing their Intellectual Property Rights (IPR) when doing business in or with Nigeria. This publication provides the snapshots of the requirements for trademark registration in Nigeria. WHAT IS A NIGERIAN TRADEMARK? A Nigerian trademark is a device, brand, heading, label, ticket, name, signature, word, letter, numeral, or any combination thereof that is legally registered with the Trademarks, Patents and Designs Registry, Commercial Law Department, Federal Ministry of Industry, Trade and Investment, as representing a company or product and distinguishing the source of goods from one party or company to those of others in the same line of business. Registration confers the exclusive right to the use of the trademark in Nigeria by the user vis a vis the goods or classes of goods so registered. The enforceability of property rights over a trademark is only dependent on the registration of such trademark in Nigeria. Trademarks are assets for generating financial profits and global competitiveness. 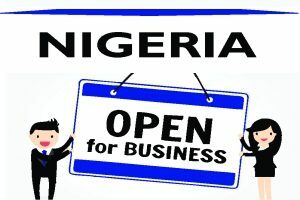 Registration facilitates cross-border trade and business expansion by companies into the emerging markets such as Nigeria. 1. The Principal/Agent would have to file the trademark through an accredited Agent of the Trademarks, Patents and Designs Registry, Commercial Law Department, Federal Ministry of Industry, Trade and Investment in Nigeria. 2. A preliminary search with the registry is required to confirm the non-conflict of the mark sought to be registered with an existing trademark or a mark pending registration. The preliminary search will be done within two (2) working days. 3. Where the trademark is acceptable for registration, a letter/notice of acceptance will be issued by the Registrar of Trademarks. 5. If no objections to the registration of the trademark are received within the specified period or no objections are sustained, a certificate of registration shall be issued by the registrar. The Registration Certificate will have the date of initial filing of registration. A trademark can be registered either in plainly (black and white) color or in a color format. However, if it is in a color format, the protection shall be limited to that color only. If it is plainly (black and white), the registration shall afford protection to all colors of presentation of the trademark. If a mark sought to be registered is already registered by an applicant in a country that is a member of an international organization to which Nigeria is a member, the applicant shall have priority over other applicants to register the mark in Nigeria, provided the trademark is registered in Nigeria within 6 months from the date of registration in the foreign country. The first-to-file rule is of great significance for registration of intellectual property in Nigeria. If two or more applications are identical or similar only the first application will be given importance for registration. 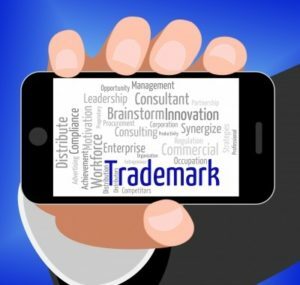 We can help you with an application to the Trademark Tribunal for the striking out of a trademark registered in the name of an individual, firm or company which is close to the trademark you want to register on the grounds that you have long transacted business with the mark and known all over the world by same. The duration for registration of trademarks in Nigeria is three (3) months on the average. Nigerian trademark registration has an initial validity period of seven (7) years, and thereafter, indefinitely renewable for fourteen (14) years. An application for renewal must be made not later than three (3) months from the due date. The name or mark sought to be registered must be unique and dissimilar with a registered mark. Word marks that are Common English words may be registered in combination with devices or logos. The name must not be descriptive, and must not interfere with public policy or Immorality. Applicant/Principal may propose up to six names, in case any of the names are rejected. Applicant will have to provide the following details: the company or individual full name(s), nationality, physical address, passport photograph, and class of goods sought to be registered. Trademark sought to be registered may be in form of a logo in jpeg format (i.e. 120px x 100px, 1200 dpi). A separate application will have to be made for each classification of goods for which the trademark will be registered. Nigeria presently follows the International Classification of Goods. A separate application is filed for each classification of goods for which the trademark is to be registered. 1. A full range of goods covered or proposed to be covered by the trademark. 2. A Power of Attorney to Lex Artifex, simply signed, with full particulars of name(s), address(es) and nationality of the applicant(s). Full name(s) and capacity of the signatory if the applicant is a firm/company. Please refer to this post on the cost of trademark registration in Nigeria for the billing arrangement. Lex Artifex LLP offers a full range of trademarks, patents, and industrial designs application preparation and prosecution services. Our team comprises IP Attorneys & Solicitors who specialize in the commercialization of intellectual property and the enforcement of intellectual property rights. For a business-focused IPR advice, contact us today, email at lexartifexllp@lexartifexllp.com, WhatsApp +234 803 979 5959. Our team is ready to help! Lex Artifex LLP’s Intellectual Property Practice Group.